Counterfeit Paracetamol in the Philippines: what a headache! Last 16 March 2018, the Food and Drug Administration (FDA) of the Philippines issued a public warning concerning counterfeit paracetamol tablets being sold under the brand name Biogesic. 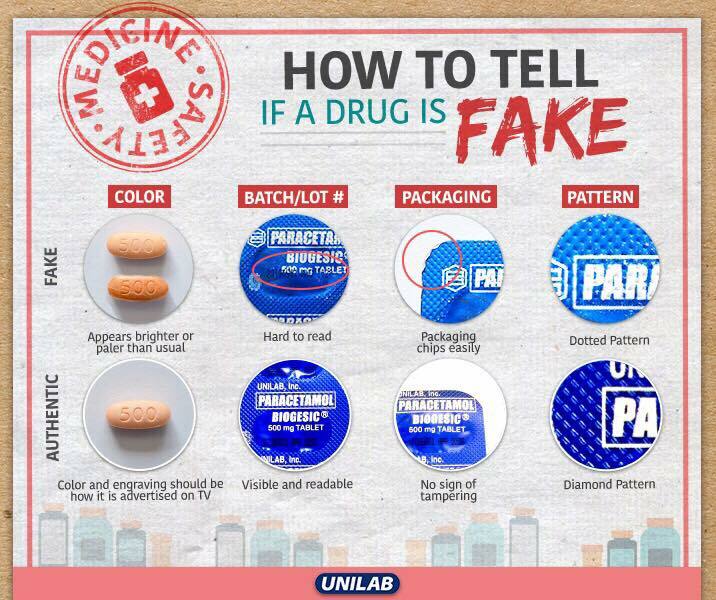 The studies conducted by the FDA together with Unilab Laboratories, Inc., a manufacturer of Biogesic paracetamol tablets, have verified said products to be counterfeit. The general public and all healthcare professionals are warned as to the availability of said counterfeit drugs in the market that may cause danger to the health to consumers. The public is also reminded to only purchase medical products from establishments licensed by the FDA stated the agency’s public warning. In said public warning, the FDA showed differences in packaging design and tablet color of the counterfeit and genuine products. It advised the public to identify modification in tablet color and foil packaging, among others. Likewise, all establishments were sternly warned not to sell said counterfeit products, as any import, sale, or distribution of these products constitute a direct violation of the Food and Drug Administration Act of 2009 and the Special Law on Counterfeit Drugs which both impose corresponding penalties. Lastly, the FDA requested all local government units and law enforcement agencies to ensure that these counterfeit products are not being sold or made available in their respective jurisdictions. In a study on counterfeit medical products conducted by the World Health Organization last year, an estimated 1 in 10 medical products in low and middle-income countries is either substandard or counterfeit, and these products may contain toxic ingredients in lethal amounts. According to the FDA’s enforcement unit, counterfeit medicine is commonly imported from China which are sold online, attracting unlicensed resellers who subsequently sell to unwary consumers on spurious websites, social media, and online marketplaces. Consumers should be suspicious when online medicine is priced at questionably low rates, when prescription medicine is available without any prescription, when online stores fail to display any physical address or landline, when there is any discrepancy from a medicine’s usual packaging or color, and when medicine is sold via spam or email advertising. Once the medicine is purchased online, consumers must check for tell-tale signs of counterfeiting before consumption. They must scrutinize the packaging; they must check if the language of the packaging and included literature matches the language in which it was advertised; they must verify if the batch number and expiry dates on the external packaging match those labelled on the internal packaging; they must also verify if the dosage on the medicine they received is identical to what was advertised. Lastly, consumers should also monitor the credit card they use for such purchase for any unusual activity. Despite the implementation of policies, the Philippine government has continued to struggle to prevent the counterfeit medicine from entering the Philippine market. Even as the Filipino consumer becomes more aware of the prevalence of counterfeit medicine, the demand for affordable medicine persists as medicine prices are one of the highest in Asia. Thank you for subscribing to the IP Twins Blog. Please check your inbox and click on the link to confirm your subscription. 1 Sunrise period (from January 16, 2019 to April 30, 2019). Early Access Period (from April 30, 2019 to May 7, 2019). General availability (begins May 7, 2019). 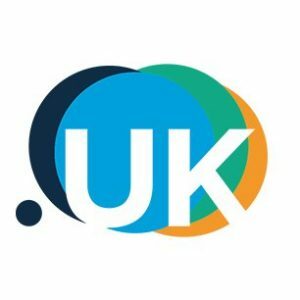 Holders of a .co.uk, .org.uk, .me.uk, .net.uk, .plc.uk, or .ltd.uk are strongly advised to register the corresponding .UK domain name before 25 June 2019 to limit cybersquatting risks. 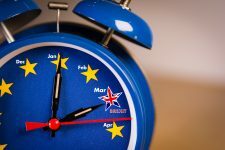 In case of a no deal Brexit, all the affected domain names will be revoked on 30 March 2020, and will become available for general registration on the same day. 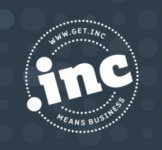 Trademarks and domain names: it’s hard to be an acronym trademark!